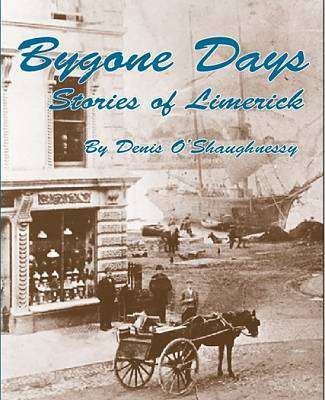 Bygone Days: Stories of Limerick, by Denis O'Shaughnessy gathers 54 stories that give an insight into the life of Limerick communities of the past. Did you hear about the Quakers who left Limerick for Rome to convert the Pope? The municipal housing construction brought to a halt by a fairy fort, or the scandal of Limerick's priceless Royal Charters being cut up and used to wrap nails? Potted pieces of hidden history abound, and the book wouldn't be complete without examples of droll Limerick humour and colourful, idiosyncratic characters.